Would you like to be the best you can be at your chosen sport? Want a quick and easy way to enhance your skills from the inside out? Great sportspersons are motivated, dedicated, and driven to succeed. They practice regularly, honing their technique to be able to function efficiently and effectively during every game, match, and competition. 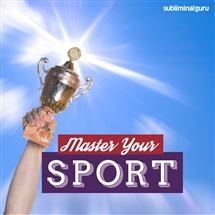 With the Master Your Sport subliminal session, you'll tap into your natural sporting genius! 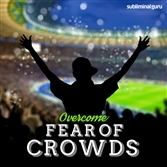 As you listen, thousands of powerful positive affirmations will alter your thinking, helping you become a sporting sensation. You'll be determined to acquire all the technical skills you need, training hard and staying in the best shape possible. You'll focus on improving with every practice session and game, devoting yourself to learning all you can. Download the Master Your Sport subliminal audio now to enjoy sporting success for many years to come. I excel at my sport. I take my sport seriously. I practice regularly and efficiently. I love training for my sport. I keep myself in shape to perform at my sport. I am motivated to be the best I can at my sport. I strive to master my sport's technical aspects. Everything I do improves my sport. Every day I get better at my sport. My sport inspires and excites me. I am devoted to my sport. I am a master of my sport.